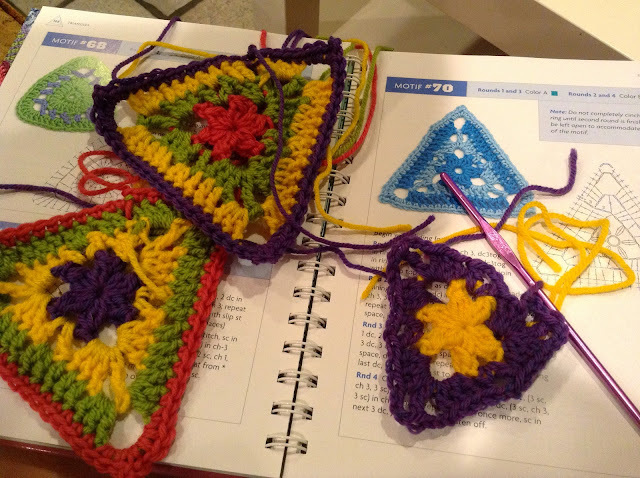 Making crochet triangle motif #70 from book Beyond the square crochet motifs by Edie Eckman. Using up my stash yarn as usual and have selected four contrasting bright colors: pink, purple, yellow and green. I think I may even block them before I turn them into a garland.